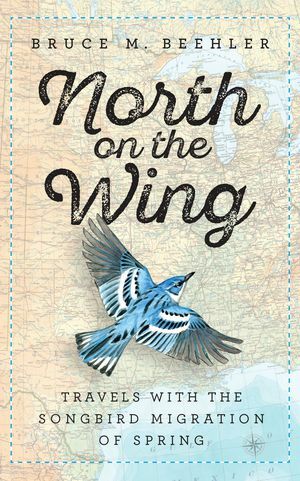 I have to confess that it took me some time to warm up to Bruce M. Beehler’s North on the Wing. Edwin Way Teale, from whom Beehler drew the inspiration for his project, has never been my favorite of the old-school nature writers. Moreover, Beehler – or his editors – made certain stylistic choices in terms of organization and typesetting that I found distracting. There are times in the early going when the tale hovers on the edge of textbook – numbered lists, important terms in bold, and the like. Moreover, the brief summaries of his travels followed by more detailed accounts sometimes made me feel like I was stuck in a time loop. I had to work my way past this to get involved in the story and reach the meat of the matter. But like many a tough nut to crack, the meat was worth it. 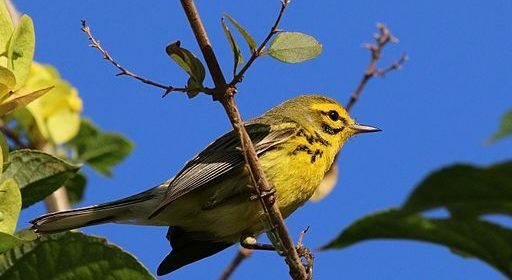 Beehler set himself a lofty goal – following the spring songbird migration in the United States from the Gulf of Mexico all the way to the boreal forests of Canada and in the process seeing all thirty-seven species of eastern-breeding wood warblers, from Common Yellowthroat to Kirtland’s Warbler, on their respective breeding grounds. He addresses this task with humble determination rather than florid drama, to the point that at times I lost track of how many species he had yet to see. He camps and drives, drives and camps, stopping often to meet with working conservationists and filling his narrative not just with birds but with butterflies, dragonflies, mammals and reptiles, botany and geology and a bit of history – a general appreciation of the world around him that serves any nature writer well. By the later chapters, despite myself, I was charmed by Beehler’s enthusiasm and pleasure in simple encounters with even common species. 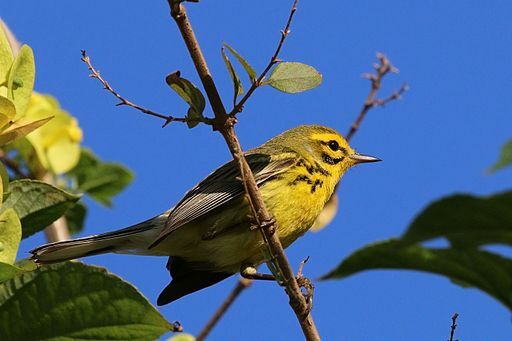 Moreover, as someone who has herself recently struggled with the task of conveying the beauty of a Cape May Warbler in words, I admired his approach to the challenge of appreciating without gushing. This was a slender volume to cover the many topics Beehler addressed – from the mechanics of relocating one’s natal territory after an epic transcontinental journey to the sad and cruel history of resource extraction in the territories of Canada’s First Nations. He was able to give each topic just a brush of the wingtip, as it were, but for those who are new to this material it would provide many avenues for further exploration. In the end I expect that this soft-spoken and earnest volume will probably find an audience similar to Teale’s, and if that appeals to you, you should check it out. Where Are You Birding This First Weekend of March 2018?